It may very well be that the boot has only just landed, but we have been working at full throttle to create a universe, where you can experience the brand new Puma evoPOWER, which, as the name implies, is full of power. It's the day of a milestone. Puma evoPOWER is not only the latest boot from Puma, it's also the first new boot of the year, which is not just a new colourway. This special day and special boot is naturally something that we want to celebrate with a brand new campaign site, where get the chance to get very close to the Puma evoPOWER. 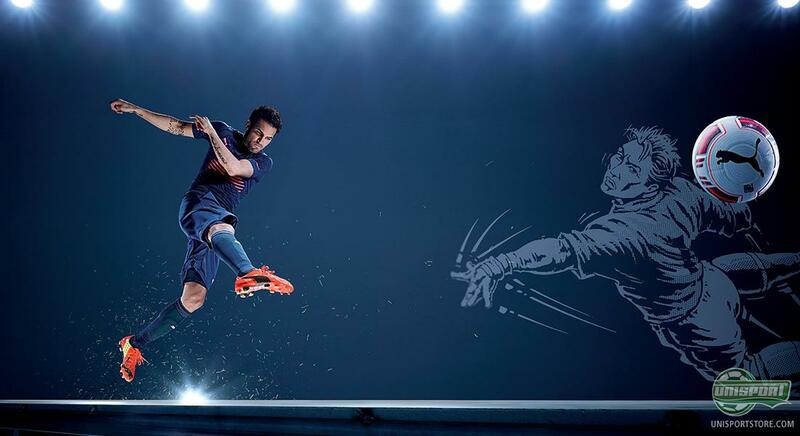 The Puma evoPOWER has been developed and thoroughly tested for quite a long period of time, and the goal for Puma has been to create a boot that is a powerhouse and which provides your play with extra drive and more power and accuracy to your strikes. 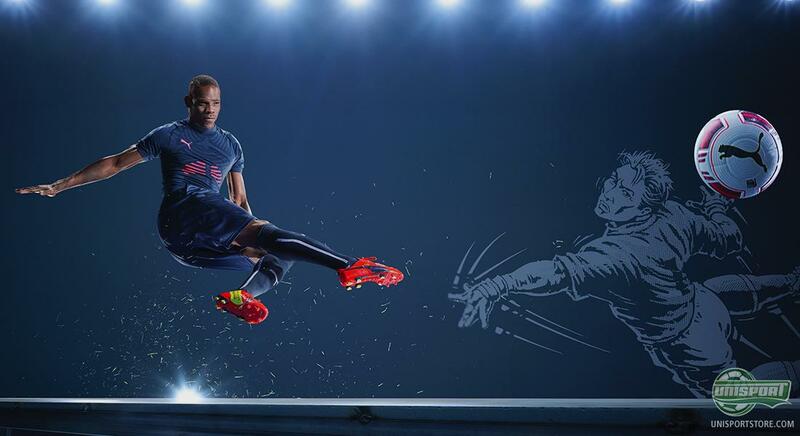 Puma have developed a range of new technologies in order to make the boot more flexible. The thought behind the idea is that your foot provides the most power when it is stretches in a natural position. This is something that your regular football boot does not consider, as they are often stiff around the forefoot, whereas the Puma evoPOWER is remarkably different. It has a more flexible forefoot and upper to take optimal advantage of the power in your strikes. There is plenty of new technology in the Puma evoPOWER, and if you wanna take a closer look at all the new technology, then come along into our new campaign universe. Our photographers, designers and writers have worked tirelessly to provide you with as much information as possible regarding the new boot. The new Puma evoPOWER is worn by some of the biggest star players. Mario Balotelli, Cesc Fabregas and Marco Reus are among the stars who will enjoy the brand new boot and the new technology; and if you would like to know more about the stars' new boot, please come along. The new Puma evoPOWER is the latest boot from Puma, and the Germans have created quite a masterpiece. What are your thoughts on the new boot? And is it to your liking? Feel free too to leave a comment here, or on Facebook and Twitter.